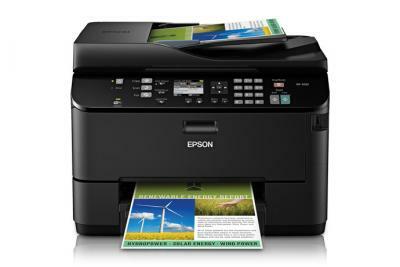 Efficient printer Epson WorkForce Pro WP-4540 with high printing speed for home. 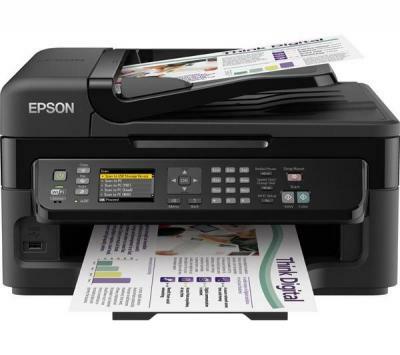 Inkjet printer Epson WorkForce Pro WP-4530 is easy to useperfectly suits for using at home. This 4-in1 has a compact design with a small footprint, ideal for any small office or home office environment. 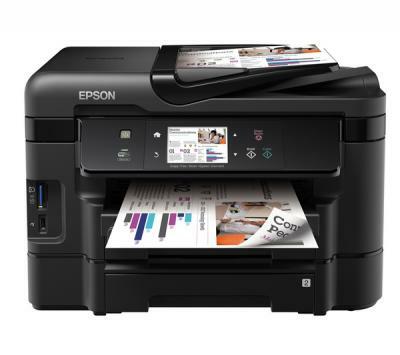 Robust and durable, the WF-2530WF also offers ADF and fax capabilities, as well as the freedom to print from anywhere with Epson Connect. Ideal for any project, the affordable Expression Home XP-300 delivers remarkable quality and performance in a sleek, space-saving design. The Expression Photo XP-950 puts professional-quality photo printing right at your fingertips. This wide-format all-in-one features 6-color inks and an innovative, fold-over scan lid that holds originals in place. Multifunction printers combine features of a printer, a scanner and a copying machine under one case. Office equipment and machines for home, for photographers, engineers, advertisers вЂ“ all this can be found in our online-store. All in One for home use are covenient and compact. Ink-jet office All in One are functional and highly productive. You may buy All in One with different configurations for different purposes. On the site inksystem.com you can buy All in One for home use with an enchanced printing system for better photo quality. Also one can find All in One with CISS, the print system of which will have only four colours. Everything depends on your demands to the device and printing tasks. On our site you may choose a convenient All in One for home use. In 2010 these devices were hits of sales. Naturally, many home multifunction are relatively inexpensive, cope with photo printing perfectly and of course print colour graphics and text documents, scan and copy necessary materials rather quickly. Moreover, multifunction printers (All in One), equipped with CISS, help to save your family budget. You may print more, not worrying about extra costs. So, home All in One with CISS is a real alternative to printing in a laboratory: itвЂ™s quite profitable and convenient. Also offer epson all in one photo printer in Texas. In our catalogue you can find office All in One with a facsimile function as well. These devices are highly productive and have a high print speed. Usually in offices text documents, charts and diagrams of A4 format are printed. But sometimes you have to work with a wider format. A-3 All in One copes with this perfectly. You may buy All in One in L.A. not only for printing. Office multi functional products (All in One) scan and copy materials well and quickly. In the catalogue of our online store there are All in One of different configurations. Here you can choose and buy All in One with different extra features. Multifunction printers for photo printing often have the function of autonomous printing. With the help of these devices you can print photos directly from a digital camera without a PC. A-3 All in One lets scan and print wide-format documents. You may buy All in One in New York with Wi-Fi support, that means that you will get a convenient device, which can be used by several users simultaneously without the need of connecting All in One and PC via wires. Also check out continuous ink supply system Massachusetts. Our online store offers the devices, which meet all modern standards. All in One, presented in this section, cope with all printing tasks that a regular user can need. Printing and scanning, copying and even facsimile posting вЂ“ all this can be made with the help of multifunction printers. You may choose A3 All in One for wide-format printings, a device with wireless connections, a modern convenient device with an autonomous printing feature, a handy, intuitie control panel, and a broad LCD monitor. The site inksystem.com offers to buy All in One in L.A. or any other city for any tastes and for any needs. Want to save some space on your desktop? Choose a compact device. A small size of such multifunction lets place this workhorse anywhere. Need photo printing? You may buy All in One with an extended print system вЂ“ with six, seven, eight or even eleven colours. Thanks to such color set, the device prints with a perfect color rendition and provides highly detailed images. We also have color plotter printers in Dakota. For monochrome printing you can choose all-in-one printers for a lower price. But four colours in a print system let produce not only black-and-white text with color insets, but also colour images of acceptable quality. User reviews, specifications and feature characteristics you can find on the page of every model in our online store. Also, our qualified operators can help you to choose a suitable All in One. Just contact us in any way you like, and weвЂ™ll answer all your questions concerning the goods, terms of payment and delivery. Do not forget to buy canon all in one printers wireless. Our online store offers not only high quality from a manufacturer, but also high level of economy. All in Ones are equipped with a continuous ink supply system that helps to save on every printing. You may buy All in One, which combines high print quality, functionality, reliability and economy. Buying All in One in New York means forgetting of extra costs of ink-jet print and printing as much as you need. You wonвЂ™t have to choose what photo to print anymore, because you will allow all of them. Moderate prices for All in One are supplemented with low cost price of every printing. Print more! In our online store the most reliable All in One are collected. You may buy All in One in New York or any other city and stop worrying about the stability of printing. A full-colour All in One with a pre-installed continuous ink supply system works as reliably and stably as with the original consumables. Buying of All in One with CISS is as safe as purchasing of a multi-functional printer with original cartridges. As safe, but much more economically. Many users have already bought All in One in L.A. and have conviced themselves in reliability and stable work of the device. 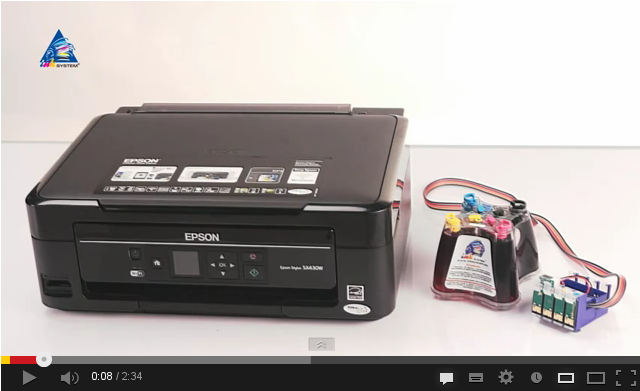 All-in-one Printers with Continuous Ink Supply System: Are you looking for a good color? Just now you found it! From our online store you could choose a device for home and office of a wide assortment. The purchasing of a multifunctional device will solve all the printing tasks at once. If you appreciate comfort, this printer will be a good choice for you. To have this multifunctional printer means to have a printer, a copier with Continuous Ink Supply System and a scanner. Only with it you will able to print and scan different documents, to make copies and send them by fax. Color All-in-one devices, which include printers, copy machines and scanners will be a perfect assistant for you. To have a set of all the main office devices under one case means to find a solution to all your working tasks. You could save money and time and furthermore it will not take a lot of space on your desktop. Now you can use only one device instead of buying printer, scanner and copier separately. All-in-one printers will manage to complete all your work perfectly. To make an order from our site means to save your working space as well as your time. And also you could make savings by buying a color inkjet printer. Do you really want to know how is it possible? Well, it's all about Continuous Ink Supply System. With CISS you could save your money on printing. You don't need to spend money for buying expensive cartridges. The installation of CISS on your printer will reduce your expenses greatly, because you will have to buy only ink, but not the whole cartridge. We recommend you a printing device, which gives you a double economy. On the one hand, you could get a color multifunctional device for a low cost, which you could find in our catalogue. So, you make savings on the buying. On the other hand, there are a lot of devices with CISS both for home and for office usage, which we offer in our online store. Thanks to this, you could save money on printing. Do you wonder, how this printer will help you to save money? A reusable CISS makes it real. 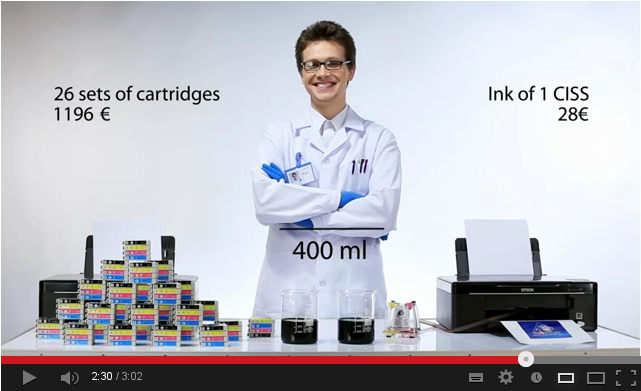 Continuous Ink Supply System can be used for several times. On the contrary, you could use cartridges only once and you have to buy a new one again and again. Just think, do you really want to pay more? Instead of this, you can buy Epson multifunctional device (printer and All-in-one copy machine) and spend money only in ink. Why do you need to buy these expensive original cartridges? Now you have an economic and handy CISS. Besides, these multifunctional devices have a high level of reliability and printing quality. To get excellent prints you just have to refill the tanks with ink. According to user reviews, you will get a rather good device even if you buy a printer for a comparatively low price. As to its reliability, the operation of the devices with Continuous Ink Supply System as reliable as with original consumables. All the devices on our site are qualitative and have a long lifecycle. A lot of users have already had a possibility to appraise its merits. For a reasonable price you can buy Canon All-in-one printer of a high quality, which you could find in our catalogue. If you have some problems with a choice, you will able to read a lot of user and expert reviews and feature list of devices with Wi-Fi. All this will help you to make your choice. You just should outline your demands and it will be easy to decide what kind of device you should buy. If you are thinking of where to find Wi-Fi printer with Continuous Ink Supply System, read our catalogues. There you can find the device with the functions of printer. scanner and copier, which will meet all your expectations. We care of our customers and offer them the widest assortment, and the lowest prices. You could compare our prices. 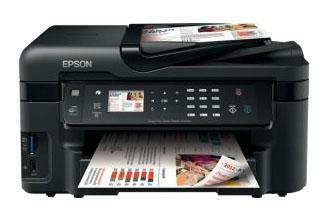 For example, EPSON PX660 All-in-one with CISS has the most democratic price in our city. Just buy a handy and qualitative device and print with pleasure! The site inksystem.com gives the possibility of buying an economic and reliable All in One in almost every city. L.A., New York, Washington вЂ“ weвЂ™ll deliver equipment to any city. For example, you may buy All in One in New York as with the help of our online store as from our regional dealers. It is simple as never to buy All in One in L.A. or in any other city where our representative office is situated. No matter what way you have chosen вЂ“ our prices will pleasently surprise you in any case. All in One cost so little that any user can allow to buy a new multi functional device. You may buy All in One and start printing, scanning and copying simply and with pleasure. 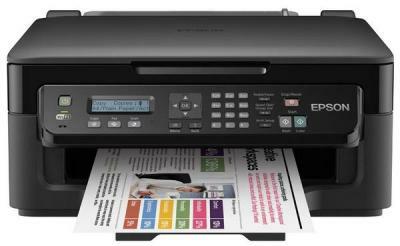 We offer Epson All in One, Canon All in One and HP All in One for any tasks. Besides, we offer you original Inksystem ink.